CertiPro Fire & Life Safety is your trusted local Arizona resource in the Fire Protection and Life Safety industry. We pride ourselves on two things: providing trained specialists to ensure the safety of your home or facility and doing so through personalized customer service at a competitive price. Fire Sprinklers are a solid line of defense. We provide systematic maintenance and certification of your Fire Sprinkler system to ensure Fire Code Standards are met. Backflow devices ensure that potable water supplies are not contaminated. We provide annual inspections ensuring that city requirements are met. 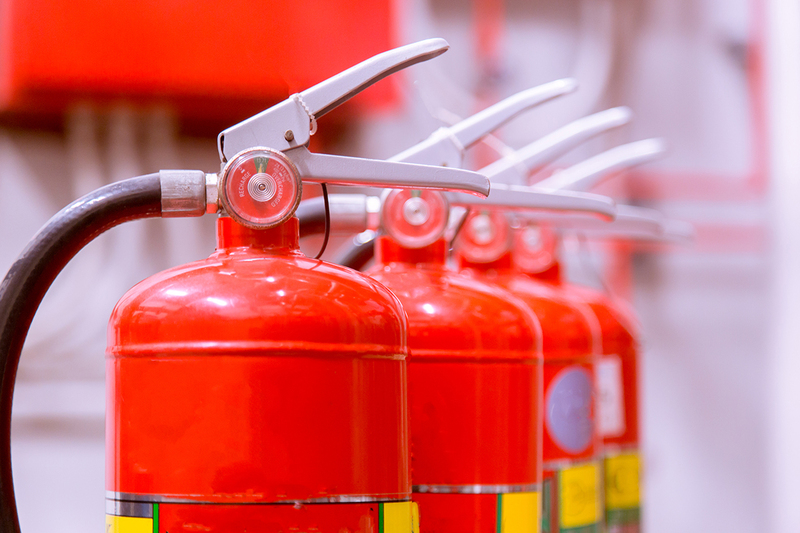 We provide fire extinguisher certifications and tagging as well as on site re-charging. Our technicians will also service your emergency lighting. You can rely on our fire alarm systems to keep your home or office safe and secure. We offer testing and inspection, system repair, and certifications. From family homes to large commercial buildings and offices, our friendly and experienced technicians are equipped to handle installations and inspections of fire & life protection systems of any size. As a property manager or building owner, it’s important that you protect your building and property as well as your budget. CertiPro Fire & Life Safety are not only experienced in commercial systems, but we are locally managed here in Arizona and trusted by property owners state-wide. We take pride in providing excellence & accuracy, while remaining sensitive to deadlines and up front about cost. We understand that choosing the right system to protect your home and family is not an easy one. Our expert technicians are bonded & insured. We strive to build customer relationships through up front pricing, honesty in our customer service, and integrity in the field. A representative will get back to you within 24 hours to schedule your service date. 2018 © CertiPro Fire & Life Safety, Inc.